The race is on! 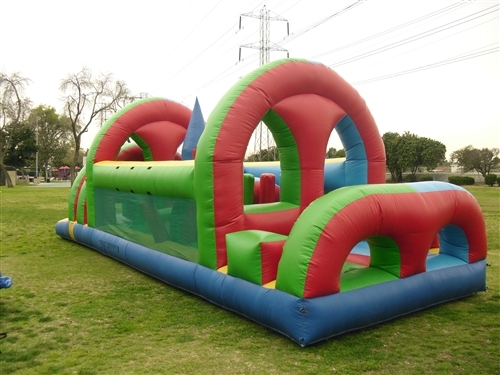 Jump, slide, crawl, and push your way through this extra wide, inflatable obstacle course. Comes with holes, barrels, walls, and pillars. The high perimeter walls emphasize safety -- they will withstand any amount of rough and tumble. Ideal for two racers at a time; the children get to challenge each other and themselves as they try to reach the finish line.